Many people come to the Brisbane Acupuncture Clinic for treat­ment of eye con­di­tions ran­ging from sore eyes to degen­er­at­ive eye dis­ease. There is a fright­en­ing increase in the incid­ence of eye con­di­tions and espe­cially degen­er­at­ive eye dis­ease such as ret­in­it­is pig­mentosa and mac­u­lar degen­er­a­tion. A more com­mon con­di­tion that is treated at our acu­punc­ture clin­ic is dry eyes. Some of the factors that con­trib­ute to eye prob­lems are the pace and stress of con­tem­por­ary liv­ing and attend­ant prob­lems such as insom­nia. Added to these are factors that put an increas­ing strain on our eyes such as over­use of mobile phones, tele­vi­sion and com­puters. The com­bin­a­tion of fre­quent expos­ure to radi­ation and screen tech­no­lo­gies add to the strain on the eyes res­ult­ing from increas­ing levels of air pol­lu­tion as we go about our every­day lives. Contrary to pop­u­lar belief, acu­punc­ture treat­ment for eye con­di­tions does not involve inser­tion of needles in the eyes. The real­ity is that very thin acu­punc­ture needles are placed around the eyes, a pro­cess that is pain-free. The advant­age of acu­punc­ture for eye dis­ease is that it uses the nat­ur­al heal­ing abil­ity of the body to restore the eyes to a healthy con­di­tion or to slow the pro­cess of eye degen­er­a­tion. Acupuncture stim­u­lates the flow of body flu­id that car­ries nutri­tion to the eyes and ener­gises the immune sys­tem of the body. So it is a non-invas­ive form of treat­ment for the eyes that actu­ally works to re-build the capa­city of the whole body to fight dis­ease and slow degen­er­a­tion. 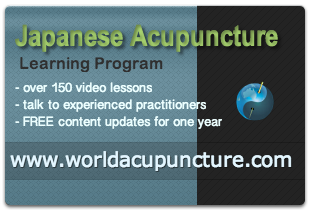 For cur­rent inform­a­tion on our acu­punc­ture ser­vice for eye dis­ease, please vis­it Vision Acupuncture.